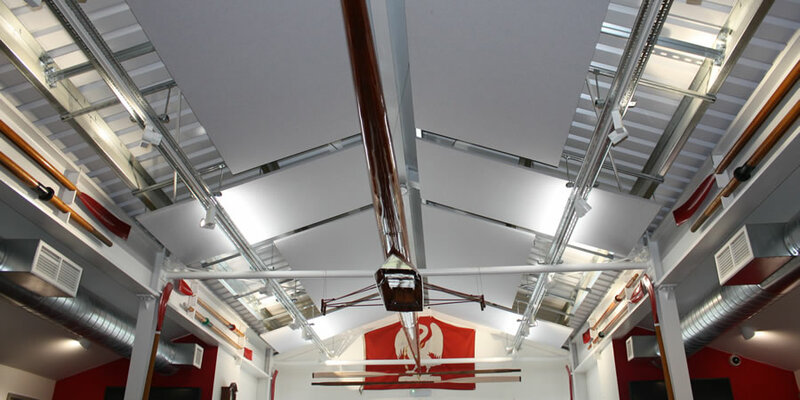 Marlow Rowing Club contacted us about a problem them were having with long reverberation times in their social area. 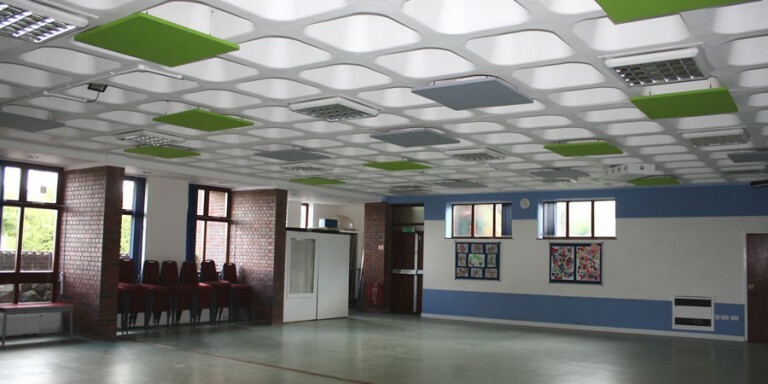 This was having an impact on the club as what should have been a relaxing area was very unpleasant to be in due to the high noise levels. 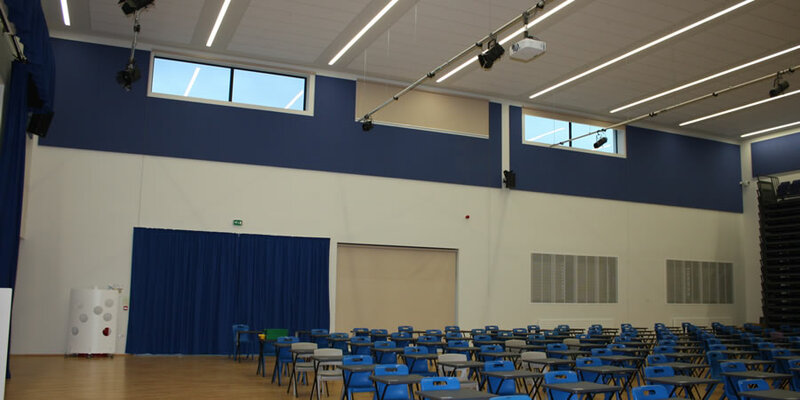 Architects specified the use of Wallsorba and Cloudsorba acoustic panels to reduce the echo and reverberation in accordance with BB93 for the new Aylesbury Vale Academy. 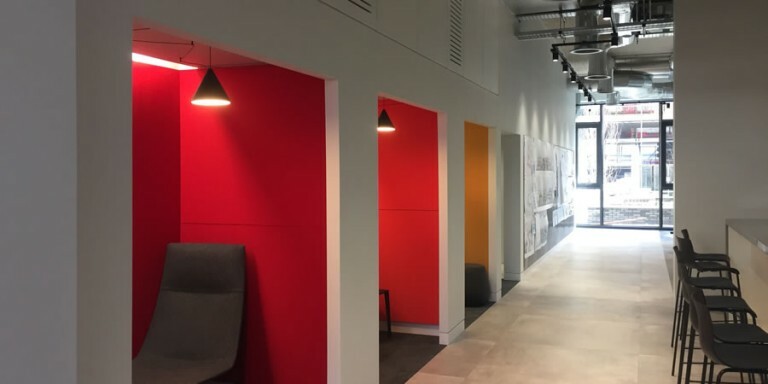 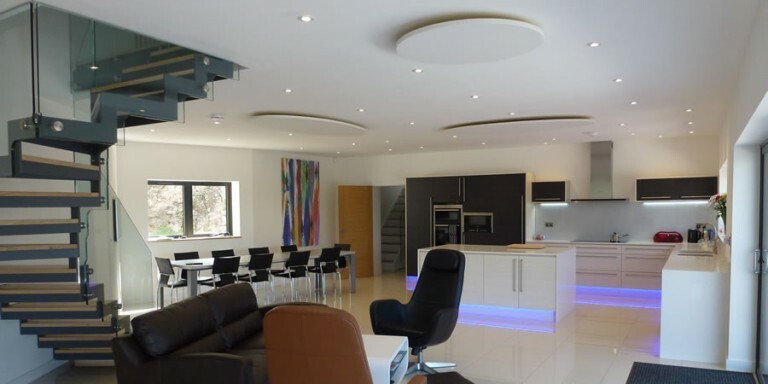 The vast range of colours was very useful for the client as they were able to match the acoustic panels to their various design themes for each area. 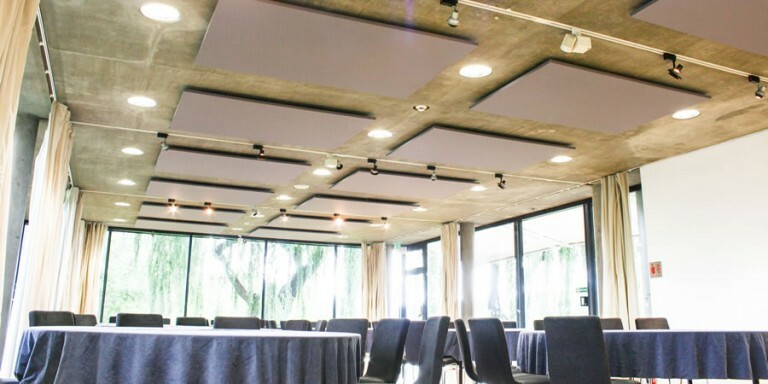 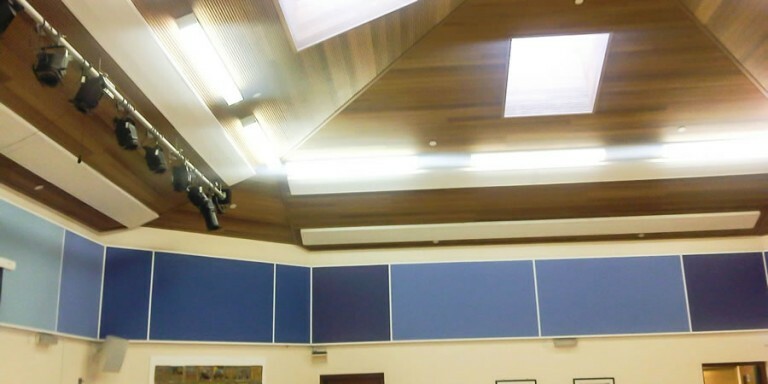 The Dining hall, sports hall, classrooms and school hall all needed to be treated with an acoustic solution.